Honey Loch Achanalt Loch Achanalt, Achnasheen, Scotland. 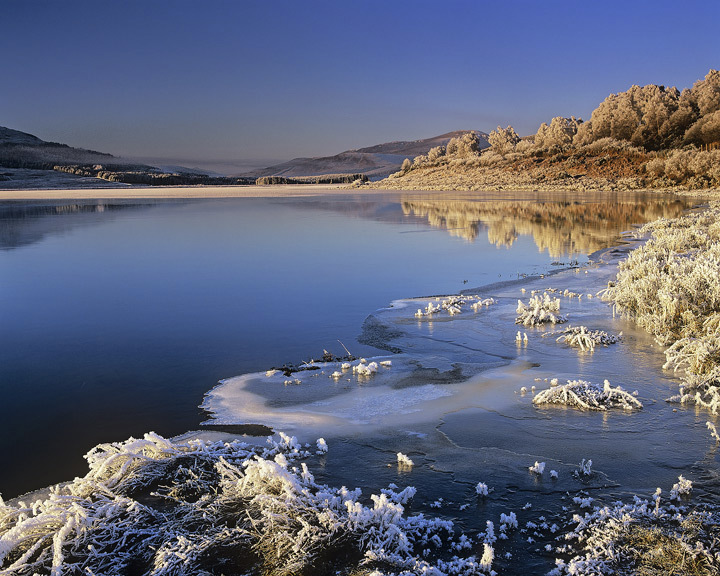 A vicious hoar frost descended for three days around Torridon and Achnasheen combined with an overnight mist which froze on every branch twig and blade of grass plunging to minus 23 degrees celcius. I even got frost bite in my finger tips which still aren't quite right some six months after it all abruptly ended. The colour and light and intense chill made for some of the most stunning winter photography I have ever had.